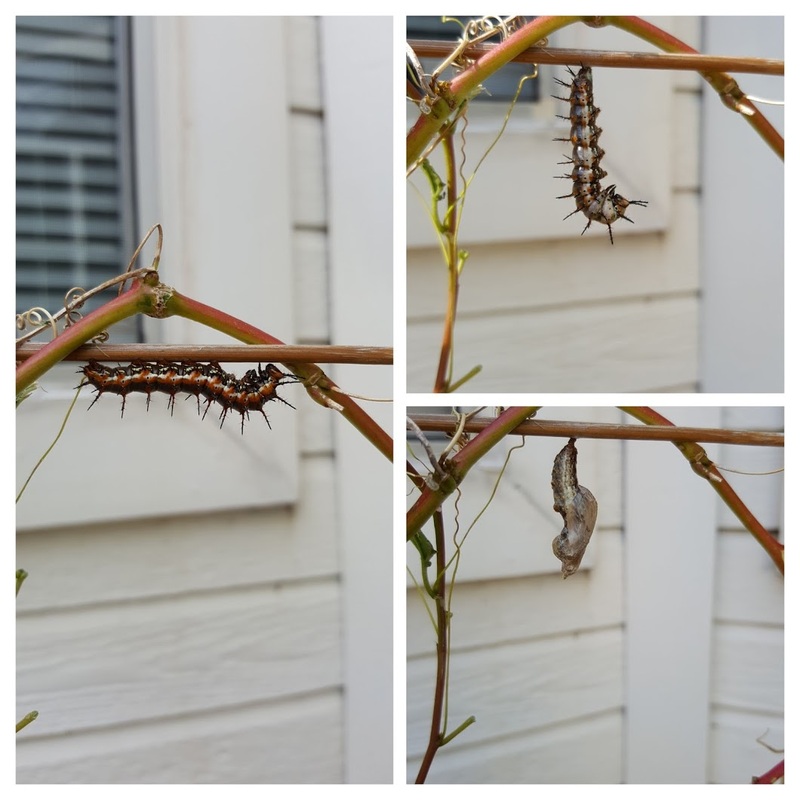 Another backyard success: breeding habitat for the Gulf fritillary butterfly. This medium-sized orange butterfly, while less famous than the Monarch for which it is sometimes mistaken, is a beautiful part of our landscape. Like the Monarch, its caterpillars can only eat from one type of plant ("passionflower") and they have a long-distance migration: across the Gulf of Mexico to southern Florida. This purpole passionflower in these photos only bloomed once or twice this summer, but one or more adult females clearly knew what was what and laid some eggs. I have counted as many as 8 visible caterpillars/pupae of multiple sizes at once (including the one trapped by a spider), and there were probably more that were hiding under leaves and around stems.